Matsoni yogurt (pronounced Madzoonee) is also known in Japan as Caspian Sea Yogurt. A slightly tart yogurt, Matsoni is excellent sweetened with a bit of honey or served with fruit. Matsoni yogurt has a thick viscous consistency, which is known as 'ropy'. 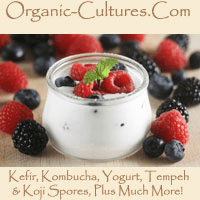 This yogurt is easy to make and requires no heating for culturing. Just add the culture starter to fresh milk and allow to sit for 12 to 24 hours. After this time you'll have healthy yogurt ready to eat. With proper care, the Matsoni/Caspian yogurt culture can be used to make homemade yogurt indefinitely. Just save some from the last batch as a starter for the next batch. How to Make Matsoni Yogurt: As a mesophilic yogurt culture, this yogurt starter cultures at room temperature. 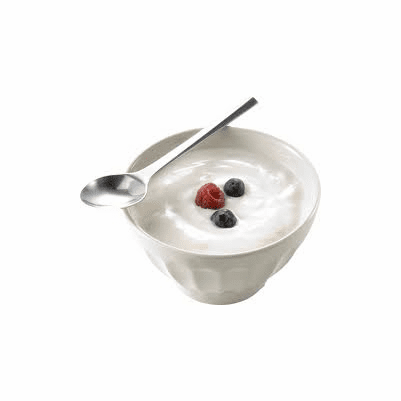 To make a batch of homemade yogurt, the yogurt culture is simply added to milk, stirred, and then allowed to culture on the counter before being placed in the refrigerator. This yogurt culture can be serially cultured: a small amount of homemade yogurt from the current batch is reserved to inoculate the next batch of homemade yogurt. With proper care, the Matsoni yogurt culture can be used to make homemade yogurt indefinitely. Ingredients: - Organic milk, live active cultures. - This product contains no GMO ingredients. - Gluten-free - The specific bacteria are Lactobacillus lactis subsp. cremoris and Acetobacter orientalis. "Fast shipping, Matsoni turns out great!" - Guy T.